Solomon stood completely still when she came closer. "Little Flower I am not able to turn any into the monster that I am, thankfully. Only natural borns are able to do that. And No, I wont do that to you, I cant." He told her with a pained expression. Yet his eyes were fixated on her smooth, pale neck that she just bared for him. He covered his mouth with his hand because his fangs were down and his hazel eyes were now red. Angel didn't care anymore. "I can't handle debts." She said, putting her ear on his chest, hands beside her head. She looked up at him. "Please." She said, begging him with gentle, blue eyes. She gently gripped his shirt, determined to get her way. Solomon looked at her with Red eyes. He had been trying so hard to avoid this moment right here. He knew that he would get into trouble with Casper and Eliza but with her looking at him like that, and the fact that her blood tasted so good to him. He couldnt resist anymore, "Just remember you asked for this." He said before he pulled her away from him, and turning her neck to the side, he bit down. Angel's blood to him tasted sweeter than honey itself. He could drink her dry right then and there but he had come to enjoy the company of this human. So he drank for about a minute before he withdrew his fangs from her neck. He then ran his tongue over the puncture marks to heal them. Angels breath hiked up, and she cried out a little. Her arms wrapped around him, smiling. When he licked her neck she looked up at him. Her face was pale, but she still smiled at him. "See? That wasn't that bad." She said, but her face told a different story. Solomon held her after he was done feedig from her. He knew that he pretty much just broke clan law, of cannot feed from a human. He sighed and rested his head on her head. "Angel, my darling i have just done something very bad. I lied when i said that i wasnt apart of a clan. I am, and i just broke clan law by feeding from you. And i hope you know that now that you know so much about us you wont be able to go back yet." The moon was high in the sky, illuminating the whole forest. The sky was dark and the wind that blew was cold. The leaves were moving slowly creating a beautiful melody, but somehow making the whole place look dangerous and scary. The shadows had different forms and looked like they were trying to catch the creatures which dared to intrude into the territory. Casper was walking with a medium speed through the shadows and among the trees. The wind played with the tips of his black coat. Hissteps were so graceful that they created the illusion of him flying. He was extremely quiet, which was sure not going to be welcome for his enemies. His dark hair was slowly moving together with each of his step. His deep blue eyes now had a bloodyred colouring, which was not a good sign. The king could smell the human and his friend. Not only that, but he could catch the scent of blood, which sure wasn't delightful. Suddenly the young man stopped. He watched the long haired man and the human creature. Obviously they didn't hear him nor saw him, which was good. He heard the last sentence of his so called friend and instinctively clenched his fist. "He is right! He lied you, not only you if I have to be honest. But at least for one thing he is right. You will not return into the village, never again!" The king spoke calmly but his words were like venom. He stepped forward and landed his eyes on them. "Solomon of Crimson Fang, you have broken one of the most important laws in our clan. Now you have to pay for your actions. I, Casper king of Crimson Fang, want you to take the human and return into the mansion. Your fate and the creature's one will be decided tonight, in the throne room." Casper did not want to look into his friend's eyes. He felt betrayed, again. His mistakes were repeated by his closest ones and it hurted him to watch. "Go, now!" he ordered and pierced them with his red eyes. Angel looked with fear at the new man. She was scared by his words, and she wanted to run. Fear held her legs still, and her eyes were stuck on his red eyes. Upon hearing what he said, he face turned to that of anger. "No! I want to go home! And you can't hurt Solomon! He's a good person! He didn't want to, but I overrode his senses by pricking myself! He didn't want to! It was all me! He's not at fault!" She yelled at him, but clung to Solomon. Solomon tightened his arms around Angel, and kissed her on the forehead. " Little Flower, he is right. I have committed a great crime and I will accept my punishment as my king sees fit. Angel it was not your fault, so their is no need to take the blame. I should have had more self restraint. Come now, I won't let them hurt you, and besides haven't you ever wondered how we live?" He asked as he took her hand and led her to the mansion. He smiled in hopes to reassure her. But truth was that he was scared. He wondered if he would be kick out the clan look or worse killed. Casper stood still feeling the anger in him rising. However it would be unappropriate to show any feeling towards them. He kept his face calm and eyes cold as ice. His fist was still clenched. Then the human spoke. The king swallowed quietly as he smiled a little. But his smile was not a nice one. It was dark and unpleasant one. "I recommend you to keep quiet, little creature." he hissed as his eyes flashed into the dark. He then looked at Solomon with the edge of his eye. He slowly shook his head, almost unnoticable. "You have no idea what you've done, my friend." he whispered to himself, regreting the moment he heard about this from Laura. After that, the young man turned around and began walking. Soon he was out of sigh. Angel started crying. "I don't see why it's a rule if you can't turn me... And I was willing..." She mumbled, holding on to Solomon. She followed him, scared. She started to hate Casper with a passion, but she didn't understand why she was still clinging to Solomon. Laura came back to the forest and climbed up to the same branch on the same tree. She hung her bow n arrows up on a branch next to her other weapons, scythe, long sword, sun & moon machetes, silver twin katanas. She layed down against the tree trunk and started to look through her leather bag. 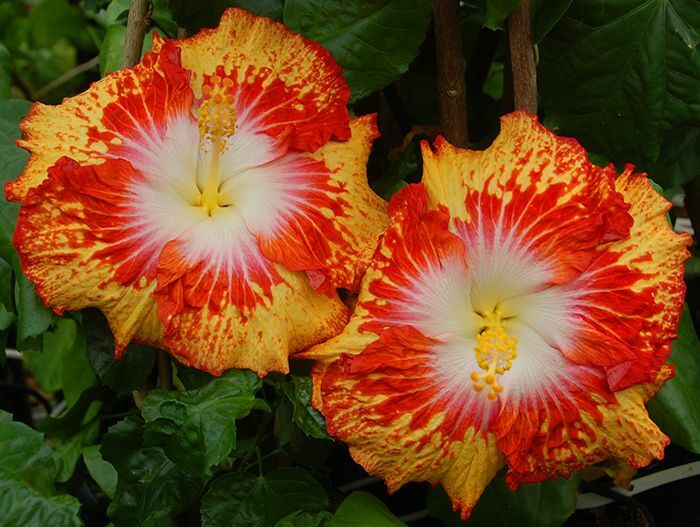 She pulled her drawing notebook out and started to draw a flower she saw earlier, a wild orange hibiscus, because it reminded her of fire. She had a passion for fire and ice because one day she was practicing with her scythe and all of a sudden the blade part changed into a fire colors and it felt scortching hot. Another day she was practicing and the blade turned into a frost like blue and it felt freezing. She then began to practice more and more and eventually was able to control if the sythe was frozen or flaming. When it could turn to either frost or flame her eyes changed to a fire blue or an ice blue. This is why her most effective and favorite weapon was her scythe. Aiden sauntered through the lush green of the forest, his pace casual and his long strides consistent as he wove between the various forms of shrubbery that occasionally blocked his path. He was just wandering through the trees; he wasn't heading in any particular direction, he was just ambling aimlessly, lost in an ocean of his own thoughts. Perhaps drifting would have been a better way to describe it. He seemed to glide through the trees, his footsteps silent on the bare forest floor and his movements as smooth as the silk that made the neat black tie he was wearing. Walking helped to clear his mind, in fact, most forms of exercise seemed to have that affect on him lately, however he wasn't in the mood to do anything that worked up a sweat, and besides, he was aware that preparations for the war would be starting soon and he thought it best not to tier himself out too early on. The forest really was a stunning place. He loved the way that the sunlight dappled the forest floor and provided the ultimate cover for predator and prey alike, and despite the fact that the air was alive with the sound of bird song, Aiden struggled to make out the shapes of the birds that perched in the highest branches of the trees. As he travelled deeper into the heart of the woodland the sunlight failed to pierce the increasingly thick canopy of trees, however thanks to the increased consistency of the lighting, it was a lot easier to locate smaller pieces of game such as hares in the surrounding vegetation. The tuneful calling of the birds had also begun to die down and the air felt crisp and peaceful in the growing silence. This was a hunter's paradise. Crouching low Aiden sampled the air, taking a deep intake of breath as he searched for any tell tale signs of nearby prey. He advanced forward, his steps slow and careful and with every intent of bringing back some kind of prize to the mansion, but a sound to his left caught his attention and he froze, his head snapping to the side as he tried to catch a glimpse of what had caused the noise. Taking a few steps closer the hunter was surprised to discover the figure of a person sitting in the branches of one of the trees. A woman to be exact. Intrigued by the figure Aiden stalked closer to the tree, using the bushes for camouflage and keeping low to the ground, however as he neared the body began to become familiar and soon her face was visible through the leaves. She was bent over a notebook and was scribbling away in it, much like the way he did when he was drawing something in his own notebook, but there was no mistaking it. It was Laura, and she was accompanied by her usual array of weaponry as expected. Straightening up Aiden made himself know to his fellow Clan mate. He was not a man of many words and so he merely raised his hand in greeting, relying on the fact that she had seen him emerge from the bushes only a few metres away. While Laura was drawing another master piece she heard a few sticks being broken. She could sense it was a vampire from her clan. She turned her head and looked to see where all the noise was coming from. She saw a familiar vampire wave to her. She waved back and smiled back at him. 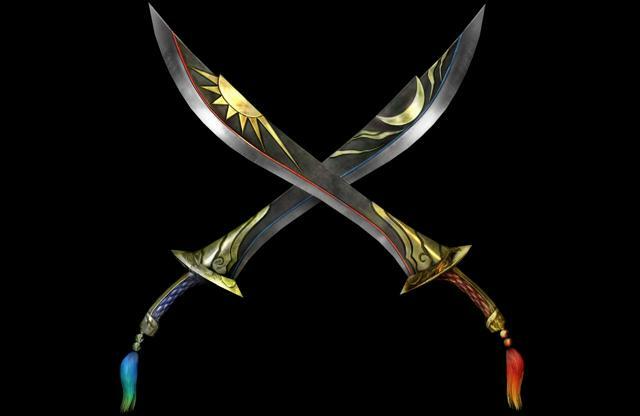 She stood up on her branch and picked up what she called her sun & moon belt, because it had sun and moon markings on it and holders that held her sun&moon knives.. She tucked her knives into the holders of her belt and jumped from each tree branch down to the other vampire. When she got to a good height she front flipped and landed right in front of the other vampire. "Hi, Is there something you need?" She asked. Aiden was pleased when Laura acknowledged his presence with a similar wave and a friendly smile thrown in there for good measures. There was no shortage of vampires back at camp that were loud, cocky and boisterous, but he knew that Laura was one of the few who were a little more friendly and approachable, so he allowed himself to relax, his shoulders slumping forward to give himself a more casual appearance. But this nonchalant attitude soon switched back to one of caution as the fellow vampire selected two rather intimidating knives and started to descend from her perch in the tree towards him. What on earth could she need those for? He thought with a hint of panic as he watched her bounce effortlessly from branch to branch. Taking a step back as the girl landed before him after executing a rather impressive front flip Aiden looked around, a little confused, as she addressed him. Feeling increasingly awkward Aiden subconsciously began to rub the back of his neck with his hand as he shook his head, keeping his eyes busy in the trees to avoid making eye contact. "Uh, no. No, I was just passing through.Sorry to disturb you." His eyes flicked back to the tree in which Laura had been sitting and he looked at the large variety of knives and belts etc that she had stored up there. He wondered if she ever worried that someone might happen across them and steal something, I mean, it wasn't like they were locked away or anything, they were on show for all to see. His eyes landed on the notebook that he had seen her working in and he pondered fleetingly what she had been drawing, but he didn't allow the thought to linger for long as he returned his gaze to her, hoping that she would soon break the silence that was spreading between them. "Oh Sorry if i startled you, I am used to flipping down when I am in trees. I have been doing that since I was little so. " She says while putting her hands on the belt on her hips and looking down. She looked back at all her weapons when he stopped looking at them. She looked back at him with a questioning look. Why is he looking at my weapons? "Well I am probably going to go practice throwing with my knives." Laura said while putting her hands on her knives' handles. "So see you later i guess. If you need me I will be at the Rogue Stream" She said and headed towards Rogue Stream. With a dismissive gesture Aiden waved away Laura's apology. It was hardly her fault that he had reacted so skittishly to such a simple movement, but his senses were still jittery and alert, his mind still buzzing and he itched with the desire to hunt something dowm, to tear flesh from limb and drink the rich red liquid that poured out. He hadn't drunk in a few days, and by now, he was becoming desperate. The thought of blood had begun worming it's way into his every conscious thought. When Laura announced her departure Aiden bowed his head in farewell, not bothering to indulge her with pleasantries as she wandered off towards the Rogue Stream, her knives hanging from the belt strapped to her waist. He would be lying if he said he didn't think the array of weaponry was impressive, but it all seemed a bit too much for him. He lacked the strong, muscular build of a fighter, instead possessing a figure that was lean and thin which meant he was quick on his feet. His light frame meant that he could tread along the forest floor without making so much as a sound, making him the ideal hunter in a forest environment. But he could never dream of learning the master each and every one of the skills that came with wielding each different weapon, despite the fact that his hand-to-eye coordination was impeccable. Shaking his head a little Aiden moved away from the tree and headed deeper into the forest, following the different noises and scents that wafted up his nose. To spare you the details of the hunt, soon enough, Aiden sat upon a log a couple if hundred metres down from the tree, a freshly caught hare sat in his lap, limp and robbed of the blood that used to run through it's veins. Aiden sat motionless on the log, his eyes shut as he relished the feeling of power that returned to his muscles now that his thirst had been satisfied. There was nothing left for him to do now to prepare for the battle except to return to the mansion in search of Anibus, who was conducting the training programme, so, without further hesitation, he began to make his way back to the mansion, pushing his glasses up his nose as he walked. Laura walked back to her tree from the Rogue Stream so she could bring her some other weapon to training just in case we were training with weapons. She climbed up the tree and retrieved her scythe. While still in the tree she took her knife belt off from her skirt and replaced it with a thigh knife holster on each thigh to go underneath the skirt. She then jumped down from the tree, equipped with her scythe and knives, and walked to the mansion. On her way there she stumbled upon a werewolf and they became slight friends. Laura told the young werewolf it was best to stay out of the vampires territory and to go join the moonclan. When the wolf had pranced off Laura was worried if anybody especially the king or queen would question her why she had smelled like she was around a werewolf. Jake silently padded into the vampires territory, keeping low and being careful to make sure no one heard him and not to leave his smell on anything. He quickly caught a squirrel, which of course was a bit louder, and ate it. Then he curled up under a tree as he waited for his strength to return. Casper was walking slowly among the tall trees. His dark hair was a bit messy, his white sark was loosened, making part of his chest vissable. However his black pants and boots seemed quite well. The man's deep blue eyes were wandering around. He felt quite happy, well atleast till the moment he caught the werewolf scent. He recognised it as Jake's one. He disliked this pittiful man. He hated him for what he done. He ruined his friendship with Raizil. Made him hate her. And now, daring to cross his border, the stupid blondy is going to pay for everything. Casper was truly not joking when he said he will make carpets of their skins if he sees them on his territory again. Now was his chanse to give a good start to his collection. The dark haired man stopped on a proper distance from the tree where the tired and weak boy was lying. "I thought you were smarter, Jake. Knowing what will happen if I catch you here. Yet you came." The king took a step forward and smiled ironicly to the wolf. Jake stood up on all fours, a small snarl on his wolf face. He had actually managed to catch a short nap, and he had recovered quite a bit from the prey he had caught. His green eyes watched Casper carefully. "I came because we have both been ruined by Raizil. Either our relationship with her or our hearts. Mine is broken, except for one piece. One piece, which holds my son. I'm sure that your queen means something to you as well. We both have family. But, I do not want to see anymore families ruined. I have given Kenji back to Raizil. This war will only destroy the clans. The humans will find us if we fight. I do not wish for this. I want my son to grow up in a peaceful land. I want the two clans to prosper, to thrive. I started this war, unintentionally, but I still started it. Do not take any cruel feeling you have for me or Raizil out on innocent lives Casper. As a king I'm sure you did not wish for both clans to fall. Do not take your anger or anything else out on Moonclan or Raizil. Simply take my life instead. I started this, and the end of my life should end it. Please Casper, I beg of you, do not hurt innocents. Take my life instead of theirs." He said calmly, putting his forehead on the ground, front legs bent. He was bowing to the vampire king, tail between his legs and ears on his head. Casper listened carefully to the man. He was right somehow but that didn'tchange a thing. The offer which Jake made was simply perfect. The king got near the blonde man with slow steps. He stood right infornt of him when he suddenly squated. "No one is innocent, my friend. Each member of your dog pack is nothing but a a stranger who will die following his queen's stupid decisions. You're right. I do love my family and that's why I will protect them from cruel cratures like you. Taking your life will be just the begining of the so waited war." The young man talked with low voice before he grabbed Jake by the scruff and threw him at the hard bark of an old tree. Casper's fangs became a little bit longer and his eyes quickly changed their color from deep blue to blod red. "You will pay for ruining everything. You'll pay for taking my friend away. You'll pay for making me hate her." He spoke through his clenched teeth as he dashed towards the werewolf ready to fight and win this battle. Jake growled and yelped, hitting the bark with a thud. He quickly got to his feet, and he snarled. His fur crackled with electricity, and he practically roared. "So be it Casper! If I have to kill you to protect my clan I will!" He snarled, charging at Casper in wolf form. His teeth glowed with 50000 volts of electricity, the same amount in a taser, and he aimed a bite to Caspers shoulder. His fur had around 2000 volts of electricity, and his claws about 30000. His claws aimed to scratch Caspers left arm and chest. Casper looked at the wolf and only smiled on his pathetic words. "Let's play then, dog." The young man ran towards him, but the moment they were about to cllide, the king slipped under Jake, dodging an unwatend attack and appearing right behind him. The dark haired man knew that the electricity will hurt him. That's why Casper took his shirt off and ripped it on parts. He wrapped his fists with cloth, hoping that it will reduce the amount of electricity that was for sure going to hit him if he touch the wolf. Casper turned around and quickly ran to Jake. He knew he mustn't touch his fur, nor fangs or claws. The one place left was the upper side of his muzzle. With tight clenched fist his hand flied towards the wolf's jaws with one simple aim - to hit him hard. Jakes quick werewolf eyes caught the move by Casper, and he twisted around. He hit the ground with a small thud. He sent a thunder bolt flying from the sky, and it landed next to him. There was a loud boom! But the wolf was unaffected. The sky started to turn grey, and thunder rumbled and roared. If anyone saw the lightning bolt they'd know where the fight was. He saw Caspers fist flying towards his jaws, and quickly opened his mouth. He aimed to bite down on his fist, and also quickly flew a claw at his arm. His green eyes were burning with anger, and he stared into Caspers red ones. His eyes said "this is unneeded Casper. Stop this." But he still tried to close his teeth around Caspers hand, one pawful of claws flying at his arm. Casper hissed. He knew he had to let Jake bitе his arm in order to succeed with his next move. No matter how painful it could be, the young king litterary put his hand into the lion's mouth. He felt the wolf's teeth touching the covered part of his hand. No matter he had cloth on it, Casper felt the volts going through his body. Luckily, they weren't that strong to make him suffer alot. He moved a little maniging to avoid Jake's claws and when the right moment came he hit the wolf's mouth with his free hand. It was not really hard but enough to make the green eyed man let go of his hand. Casper's red eyes were willed with rage towards the man. He wasn't planning to stop not until taking his life.